Home / #IPKat / Copyright Infrigement / federal court of Canada / Plum & Posey / Pyrrha Design / substantial similarity / wax seal jewellery / Seal the deal: Canadian court waxes off copyright infringement in Pyrrha Design Inc. v. Plum and Posey Inc. Does copyright subsist in any of the Pyrrha Designs because they are original artistic works? Are any of the works of the Plum & Posey that were similar to the nine designs so as to constitute copyright infringement? Wax seals jewellery techniques have been around since the 1960s. Jewellery is created by transferring the image from a pre-existing wax seal tool to make metal jewellery. In this case, Pyrrha Design does not claim ownership of copyright in the process of making the wax seal jewellery but copyright in the expression of it found in the Designs. Pyrrha Designs' creations were made between 2004 and 2012. Over this period 300-400 designs were manufactured based on antique wax seals and antique seal tools. The imagery in the wax seals used in the jewellery was not created nor modified, as the method of casting used (lost wax casting) did not involve significant creative work. The pieces were finished by a process of oxidisation and polishing. Pyrrha Design creations are available on line and in catalogues. Plum & Posey's Jewellery was created between 2009 and 2013. 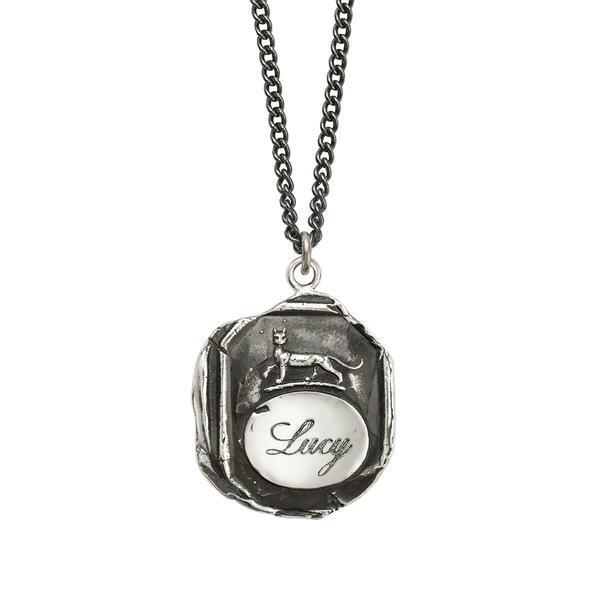 The wax seal jewellery was made using Plum & Posey's own wax seals and wax seal tools, and no evidence was brought as to prove that the jewellery was made by copying Pyrrha Design's pieces. Overtime Plum & Posey's method of creating the jewellery changed but the source remained the same, i.e., the collection of wax seals. Plum & Posey mostly sells its merchandise through on line shop Etsy. It is not the first time the two parties had faced each other in court: among other instances, in 2012 Pyrrha Designs filed for copyright and trade mark infringement against Plum & Posey for other pieces of jewellery compared to the ones at hand. This litigation resulted in the parites signing a Settlement Agreement in 2013, whereby Plum & Posey acknowledged Pyrrha's copyright on those wax-seal pieces of jewellery. The Federal Court answered "yes". In order to enjoy copyright protection under the Canadian Copyright Act [Paragraph 5(1), RSC 1985, c C-42], the work, wax seal jewellery in this case, must be (1) protected expressions of an idea and (2) original. According to Canadian case law, for copyright to subsist in a work, it must be a fixed expression of an idea. This means that it must be expressed in some material form, capable of identification and have permanent endurance. Therefore, ideas, concepts or methods are not protected by copyright in and of themselves. In this case, the Court found that the designs at issue were specific expressions of a certain seal image, thus they are a fixed expression, even if the method of creation belongs to the public domain. Furthermore, the Court found that Pyrrha's jewellery was original because it fulfilled the following three elements (CCH Canadian Ltd v Law Society of Upper Canada, 2004 SCC 13 at para 16,  1 SCR 339, para 28): (i) the work originated from the author; (ii) the work was not copied; and (iii) the work was the product of the exercise of skill and judgment. Expanding on this last point, the Federal Court noted that Pyrrha's skill is expressed in the following ways: (i) the ability to work with wax to create the borders and finishing; (ii) in the selections of seals to be used; and (iii) in the expression of the seal's image in metal. Furthermore, the fact that Pyrrah used common techniques should not prevent the product from being eligible for copyright protection. The Federal Court also pointed out that the bar for establishing originality is low. The Court also made reference to the 2013 Settlement Agreement, which according to Pyrrah was evidence of Plum & Posey's acknowledgement of the general existence of copyright in their designs. The Court found, first, that Posey's acknowledgment in that circumstance cannot confer copyright under the Copyright Act. Secondly, that acknowledgment related only to the specific pieces of jewellery under scrutiny in that case. The Court further noted that Pyrrah's decision to commence the litigation at hand shortly after the 2013 Settlement agreement constitutes evidence on the clear distinction between the two cases. Are any of the works of the Defendant similar to the nine designs at stake as to constitute copyright infringement? The Federal Court answered "No". Under Canadian copyright law, in order to establish copyright infringement, the following needs to be established: direct proof of copying (which is not the case here) or two elements of infringement, namely similarity between the works and evidence of access to the work or connection between the two works. In the Cinar case (Cinar Corporation v. Robinson, 2013 SCC 73,  3 S.C.R. 1168) it was established that an infringing work will be deemed to have copied a "substantial part" where "it has recreated a substantial part of the originality in the copyrighted work" and whether the similarities are "a substantial part of the author's skill and judgement". This exercise needs to be carried out looking holistically and qualitatively at the copyrighted work and at the alleged infringing work. In undertaking the substantial similarity test, the judge examined pictures of the wax seal jewellery, and the items themselves. Given the simplicity of the jewellery, the bar for substantial similarity was set quite high. In adopting the holistic and qualitative approach, Phelan J. first singled out all the similarities and then determined whether those similarities represented "a substantial part of the author's skill and judgement". The similarities in the imagery did not form part of the author's skill and judgement as it is part of the public domain. Furthermore, the judge found that Plum & Posey's designs were not a "colourable imitation" of the Plaintiff's, as the similarities were more plausibly the result of using similar image sources and then choosing to modify the jewellery a little differently. Phelan J. further underlined how the original features of Pyrrha's designs relate to the skill and judgement performed in the process of oxidization by Pyrrha. However this process is commonly used in jewellery making and therefore, if held to be infringing, would be contrary to the purposes of the Act, which is to encourage creativity in using elements in the public domain. What can be protected is only "the specific way oxidization is used in each Pyrrha Design in combination with the rest of the features of the specific piece". As regards access, Phelan J.established that Plum & Posey had had access to the designs prior to creating its own jewellery but that access on its own does not establish infringement: They might have been inspired by Pyrrha in starting its wax seal jewellery designs but Pyrrha does not have copyright either in the idea of this type of jewellery neither on the process to create it. Therefore, no infringement was found. This Kat finds the approach adopted in this case very interesting, especially the function of the substantial similarity test, which has in fact the opposite function of finding similarities in trade mark confusion cases, as also underlined by the judge: the need is to assess whether a substantial part has been copied and not whether a layperson is able to recognise the similarities.